FORT LAUDERDALE, Fla. - Massive delays are expected at Fort Lauderdale/Hollywood International Airport after today's shootings that have left 5 dead and 8 people injured. The FAA announced that only flights within 50 miles of the airport were being allowed to land, while flights outside of that zone would be delayed or diverted to other airports. 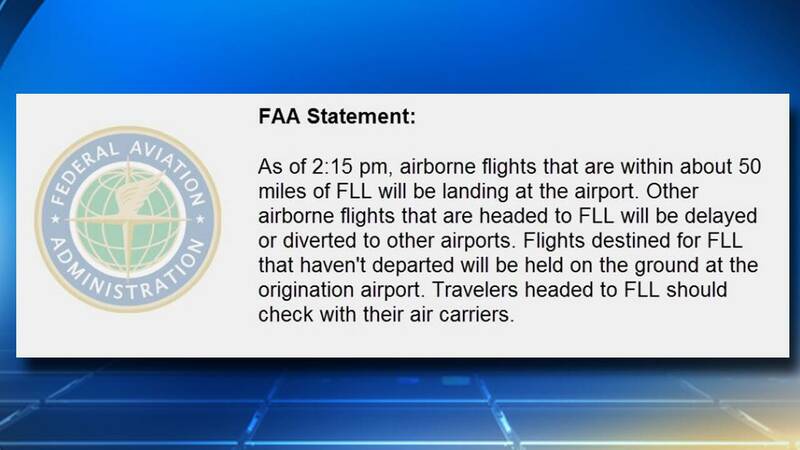 American Airlines announced that all flights out of the airport have been cancelled today. The airport has been closed to all traffic other than law enforcement officials. Nearby Port Everglades has also been closed to all traffic.